If you are reading this, it is highly likely you need a garage door repair company in Hanford California. Additionally, you probably don’t want to hire just any garage door company. You probably want a local, honest garage door repair company, with great prices and quality service. If that is what you are looking for, you have found the right company. Garage Door Repair and Installation Company is the best company to hire for garage door repair Hanford California residents! Call us today for an estimate on garage door repair or garage door installation. We look forward to hearing from you. When you call our company you will be working with a Veteran owned company with decades of experience in the garage repair industry. Our garage door company is well known and respected in and around the Hanford California area. Garage Door Repair and Installations is dedicated to our customers like no other garage door repair company. We’re sure you will agree that we put forth our best effort on each and every garage door repair and garage door installation job. Our garage door repair company’s success is dependent upon your choice to use our company. We would never give a customer a reason to regret their decision to use our company because it would jeopardize our ability to obtain new customers. It is our goal to make you another one of our long term clients. You can see many of our real customers on our website and Facebook page standing in front of the garage doors we just installed. Who a garage door repair company is, and who they are not, is of equal importance. We are not a garage door repair company that will use dishonest pricing tactics to try to get you to choose our company. Additionally, we are not a garage door repair company that will misdiagnose the severity of the problem in order to make more money. Our garage door repair company’s integrity is the driving force behind our success. 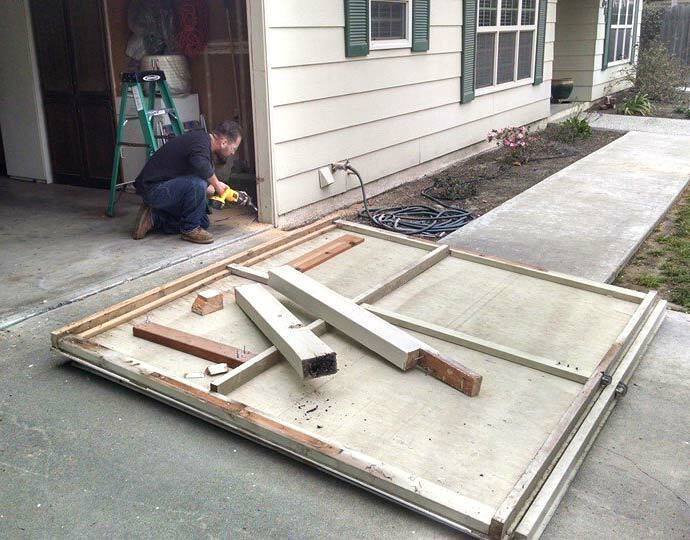 Garage door spring repair accounts for about 80 percent of the work that we do in Hanford. Garage door springs are what allows the garage door to move with ease. Garage door springs carry a bulk of the garage door’s weight. Each time a garage door opens or closes a spring is wound and unwound. Every spring is made out of iron that is high in carbon and covered in a zinc coating. Any metal that is flexed over and over again will break, and garage door springs are no exception. Some garage door springs are certainly designed to last longer than others. It is important to hire a garage door repair company that is knowledgeable enough to choose a garage door springs. Garage door springs are designed to handle a specific weight and size of garage door. Our garage door company will help you with all of your garage door repair and garage door spring needs. Are you ready for a new garage door? Not even the best garage doors can last forever. There will always come a time where a garage door simply needs to be replaced. This is where you have the ability to choose how much money you will have to spend on future garage door repairs. Some garage door manufacturers make low grade garage doors that are made of almost paper thin steel and plastic gears. Yes, plastic gears. 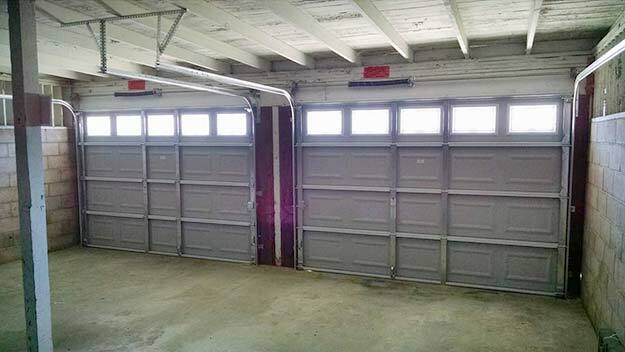 These brands of garage doors look great at first site, but quickly break causing you to need repair after repair. Additionally, some garage doors are not worth buying and installing. Our garage door company will not install big box store doors. This is simply because they are made so poorly. We do not want the failure rate of a poor product to have a negative impact on our reputation. Garage Door Repair and Installations Company only sells and C.H.I. Overhead Doors because they have a high quality product that we are able to stand behind without a high price tag. We choose products we trust because we do not want to lose your trust. Check out the C.H.I. Overhead Door site to see some of your options or we can walk you through the process with some of our brochures. We are always just a call away. Whether you need garage door repair or garage door installation, we are the most reliable, honest, and realistically priced garage door company, in Hanford California. Our company is here to help so don’t hesitate to just call us.